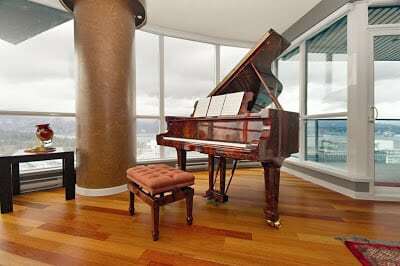 European Pianos in Vancouver | FAZIOLI in Pyramid Mahogany in beautiful Coal Harbour penthouse suite! 05 Apr FAZIOLI in Pyramid Mahogany in beautiful Coal Harbour penthouse suite! Is the Fazioli in a private suite or in a hotel room? Can you provide a little more info about it? I would love to rent that penthouse for a very special occasion that is coming soon.